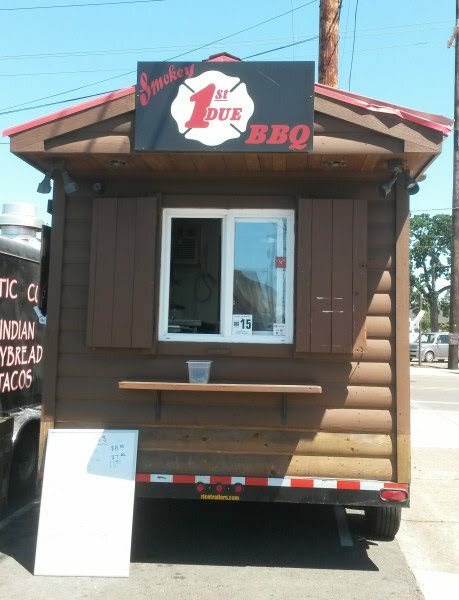 First Due Smokey BBQ is a food cart located in Salem, Oregon. After all these years, Salem finally has a food pod to call its own. 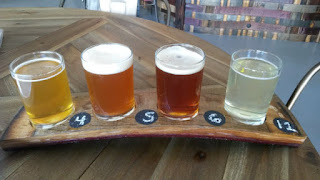 The pod behind Barrel and Keg (which serves beer and wine) recently opened, so I went to check it out with a friend. The pod itself has a rotating cast of food carts. You can check social media -- namely the Barrel and Keg Facebook page -- to see who will be at the pod for the upcoming week. 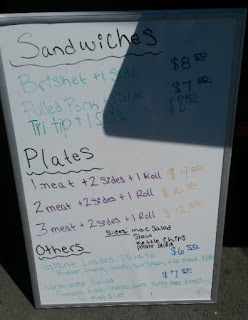 First Due Smokey BBQ has three meats: brisket, pulled pork, and tri-tip. 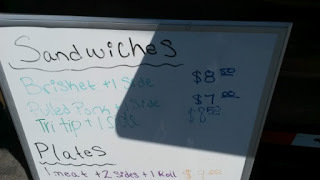 You can get sandwiches or a plate here. Plates come with a roll and two sides. 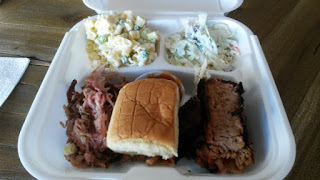 I ordered for the Two Meat Plate ($10.50) with brisket and pulled pork. Potato salad was unavailable, so I went with mac salad and cole slaw. Loved the pulled pork here, juicy and a bit of smoke. 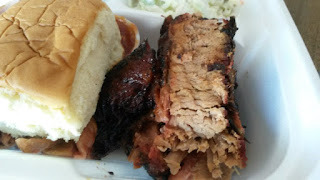 I received thick slices of brisket which pulled away without much effort. Awesome char on the exterior. The sides were good but, for me, really secondary to the meaty main event. 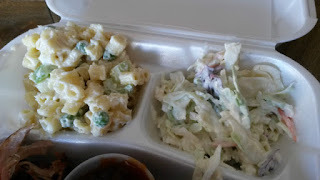 I liked the crunchy celery in the mac salad, and the cole slaw had a lovely crunch. Props to the BBQ sauce. Slightly sweet and predominantly tangy. Since you can take food with you into Barrel and Keg, I got a flight of four for $6. Yup, $6. Cheap as heck, in my book. Taps will rotate on occasion. 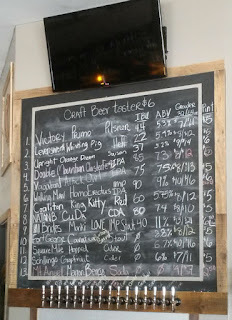 On this day, my choices were the Double Mountain Cluster**** IPA, Vagabond Attack Owl IPA, Walking Man Homo Erectus Imperial IPA, and Schilling's Grapefruit Cider. I enjoyed the Attack Owl and the Grapefruit Cider the most. 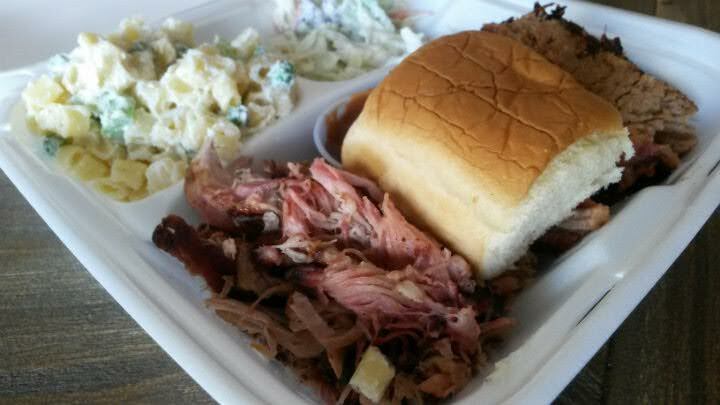 After this, I can envision my ideal snack here as a pulled pork sandwich with slaw and BBQ sauce. And of course, a beer flight from Barrel and Keg.